Rajasthan is probably the most famous tourist destination in India along with Goa and it requires no introduction whatsoever. 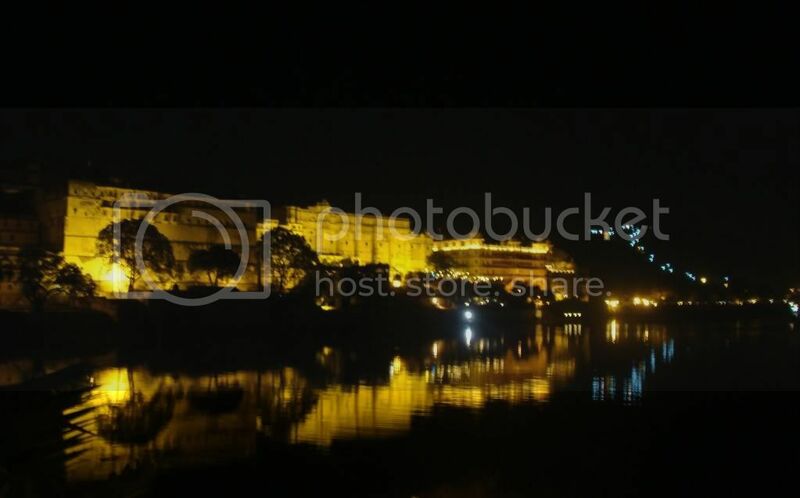 We spent a pleasant 5 days in Udaipur and Mount Abu in the beginning of March, just before the summer heat set in. 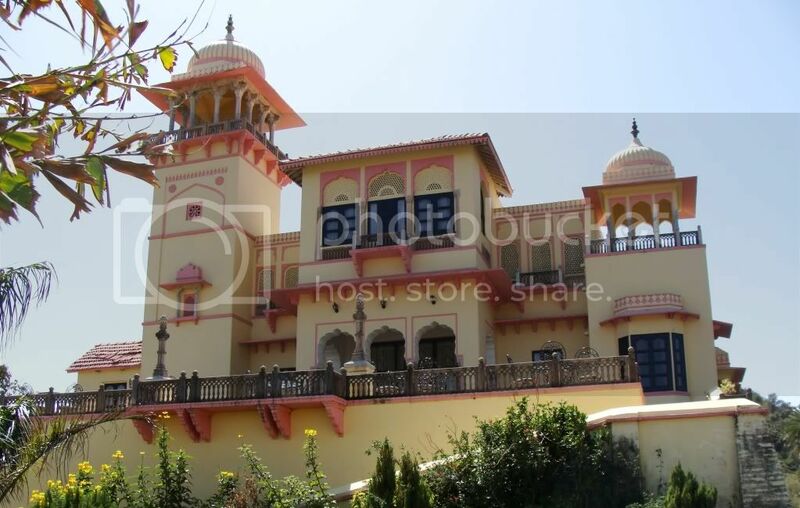 Mount Abu is an old-fashioned British-era hill station – one of the great honeymoon destinations for your parents’ generation, but quite rundown now. The only redeeming factor of Mount Abu are the wondrous Dilwara temples, which in our opinion is one of the most beautiful temples in India (and we have quite a few of those in India). Their plain and boring exterior hides a magnificently carved white-marble temple inside. Sadly, photography isn’t allowed inside the temples. We stayed overnight at the Jaipur House, which is the erstwhile Maharaja of Jaipur’s summer palace. 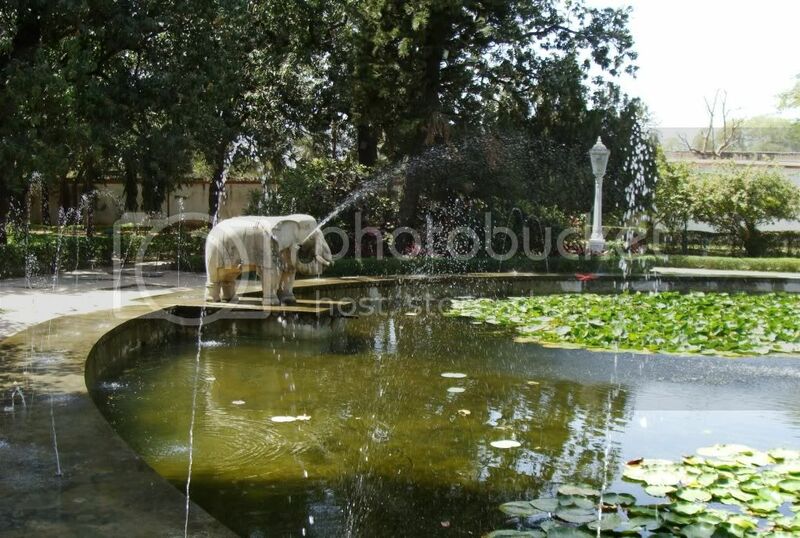 Tip – Jaipur House is nicely located, has a rich royal feel but has only few rooms in the main building. Stay only if you are getting one of the main rooms, because the cheaper cottages have nothing heritage about them. With just one day in Mount Abu, we moved onto Udaipur early next day, with a stopover at Ranakpur – where there is another complex of Jain temples carved out of marble. 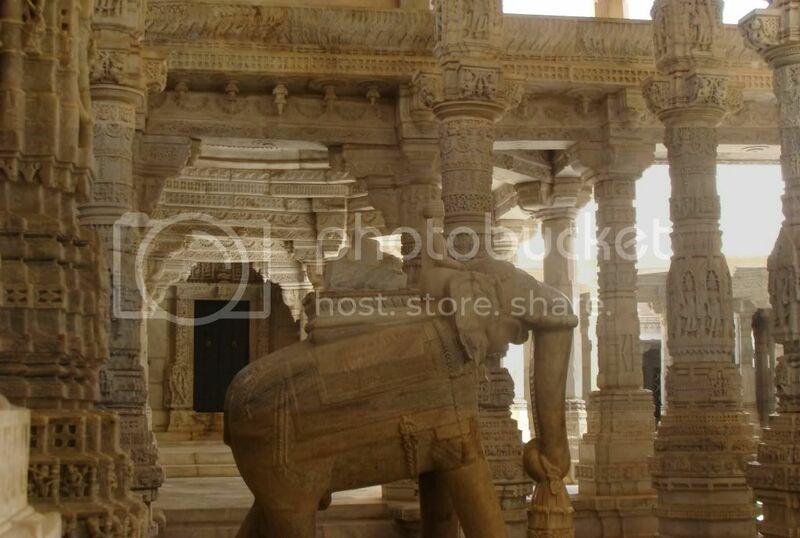 These are also beautiful and are bigger than the Dilwara temples, but the carvings at Ranakpur are not as exquisite. On the flip side, photography is allowed in Ranakpur, so we went berserk clicking snaps. Mount Abu to Udaipur is 150 kms and the deviation to Ranakpur meant, we reached our hotel in Udaipur only by evening. 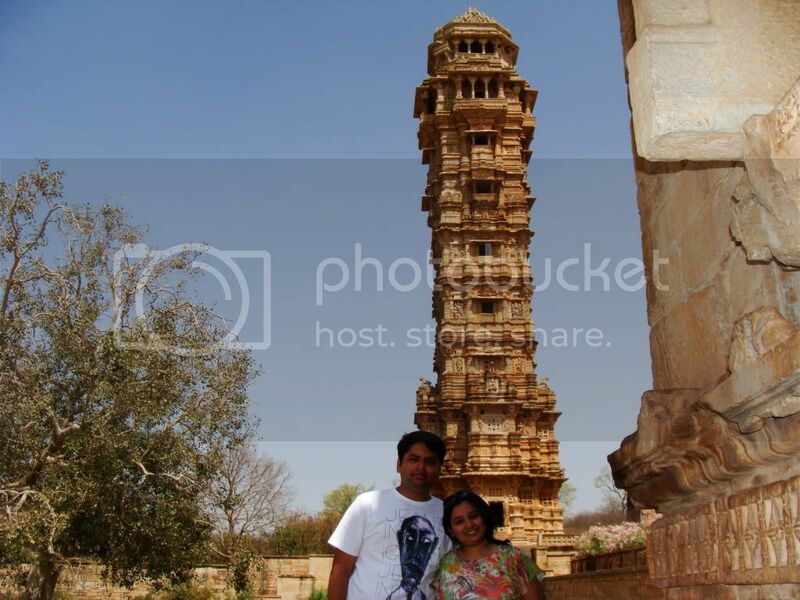 We made a day trip to the famous Chittaurgarh fort, 112 kms away from Udaipur. Taking a car and going is almost necessary because the fort is a huge sprawling complex and seeing it on foot is not at all an option. 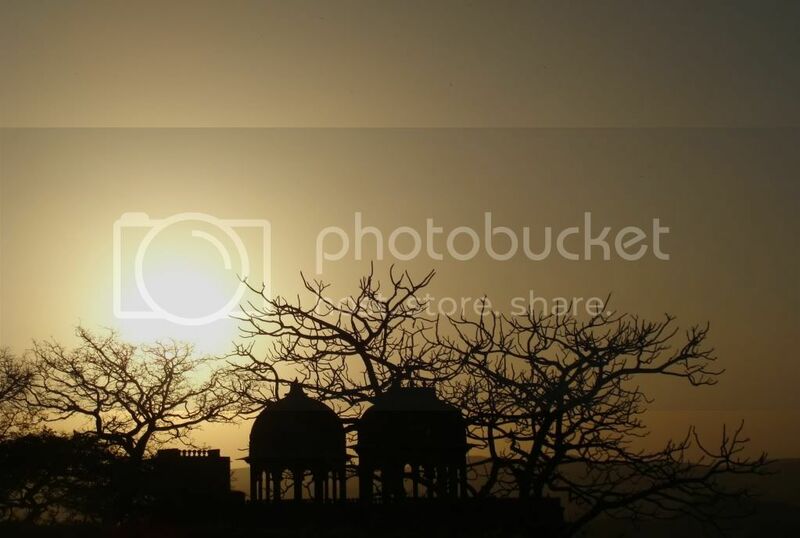 Like most of Rajasthan’s forts, it is a living fort – though half the fort is a dry forest with antelopes in it. It’s probably best to hire a guide here so that you can cover all the important places in the fort. There are quite a few stories associated with the fort – that of Meera bai, Rani Padmini, legends of wars & victories and the shooting of the famous film Guide – and hearing these stories from the guide will make the walking about in the hot, dry place more bearable. Tip Do not miss out on climbing the Victory tower. 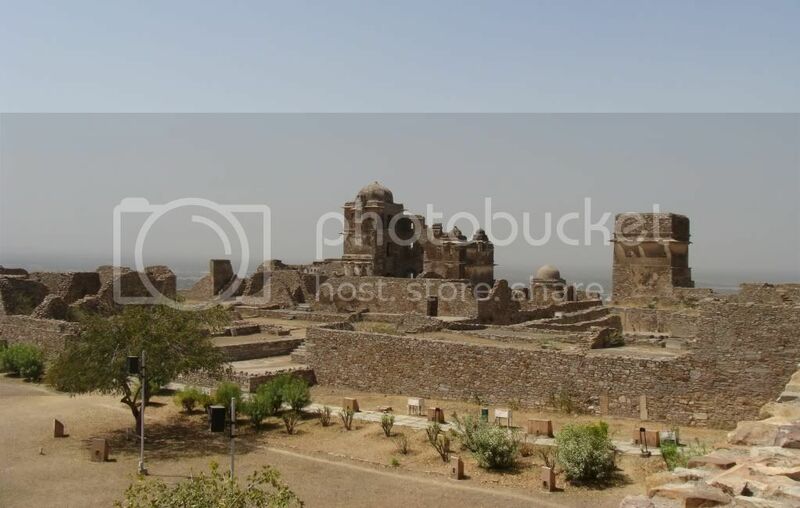 Erected by Rana Sangha (Maharana Pratap’s granddad), it is a 9 storey climb in a narrow staircase, but one gets a great view of the fort from the top. On returning back from Chittaur, we stopped at the Monsoon palace on the outskirts of Udaipur, which is a good point to catch a beautiful sunset over the Aravallis. The Lalit group runs a very nice cafe with a great view over the city of Udaipur. Also, monkeys abound in that area. We stayed at the Hotel Mahendra Prakash in Udaipur, another converted haveli – very beautiful and cozy semi-luxury hotel with a swimming pool. 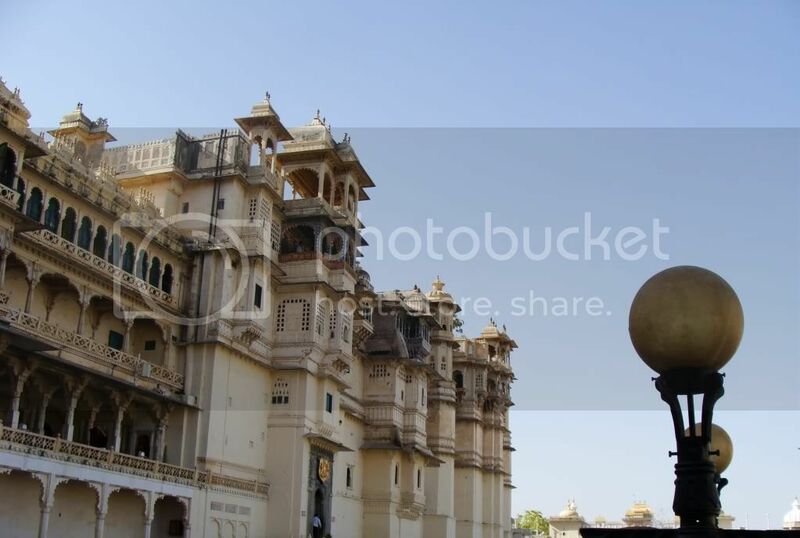 It wasn’t that pricey (Rs 2,200/night), was close to the city palace and was totally value for money. 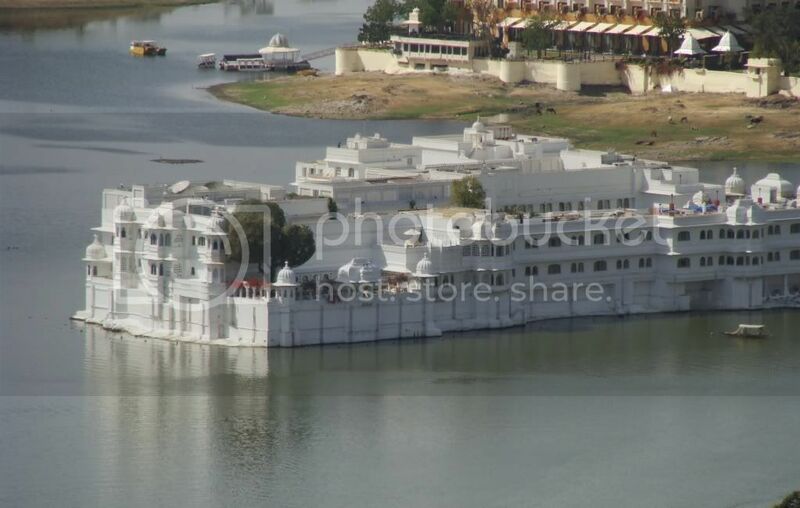 As for dining options, there is the Ambrosia restaurant which has a beautiful view of the Lake Palace, making it a romantic setting for dinner – but the ambience of the hotel left a lot to be desired. If you want to have dinner in one of the 5-star palace hotels overlooking the lake, the charges are ~Rs4,000 for an all inclusive buffet for two, but we didn’t try it out. Also different people gave different figures for the price, so check at the City Palace about the right price. Tip - If you want to try out authentic local cuisine, check out Santosh Daal Baati in Suraj Pol bazaar area. The interiors are a little bit rundown, but just ignore all that and dig into the yummy daal bhaati and churma. Given that Rajasthan is the favourite for foreign tourists, it is somewhat of an expensive tourist destination for Indians, especially if you want a bit of comfort. This is true for hotels and for local travel. Do keep that in mind while planning your trip.